Your privacy is important to me and I aim to provide a safe and secure service to you. I, Natasa Shelley and my Australia Needs You.com staff, provide this notice, explaining our online information practices and the way we handle your information for better protection. This notice is available on the bottom of the home page on our website and at every point where personally identifiable information may be requested. We comply with the legal requirements of the Privacy Act 1988 (Cth) when requesting and processing your information. To prevent unauthorized access, maintain data accuracy, and ensure the correct use of information, we have put in place appropriate physical, electronic, and managerial procedures to safeguard and secure the information we collect online. For security and statistical purposes, we record your personal information and IP address when you access visa assessment forms or any other form of our services.  We use this information to provide you with immigration advice or assistance and inform you about services we provide. Also, we use your email address to forward to you our migration resources if requested by you. All information supplied is treated in absolute confidence and is only released with your consent. We do not disclose your private information to any third party without first seeking your permission, unless we are required to do so by law or due to the services we perform. We may ask you to allow us to use your employment information, for example CV/Resume, for the purpose of a job search. This information is only released to a potential employer in Australia or New Zealand or related authorities and is identified only by the reference number and not by your name. You will be requested to provide us with a written permission if personal information will be disclosed to a potential employer in Australia or New Zealand. Payments due to us are made through international transfer, direct deposit to our bank account or through PayPal. We do not collect any Credit/Debit Card information through our website.